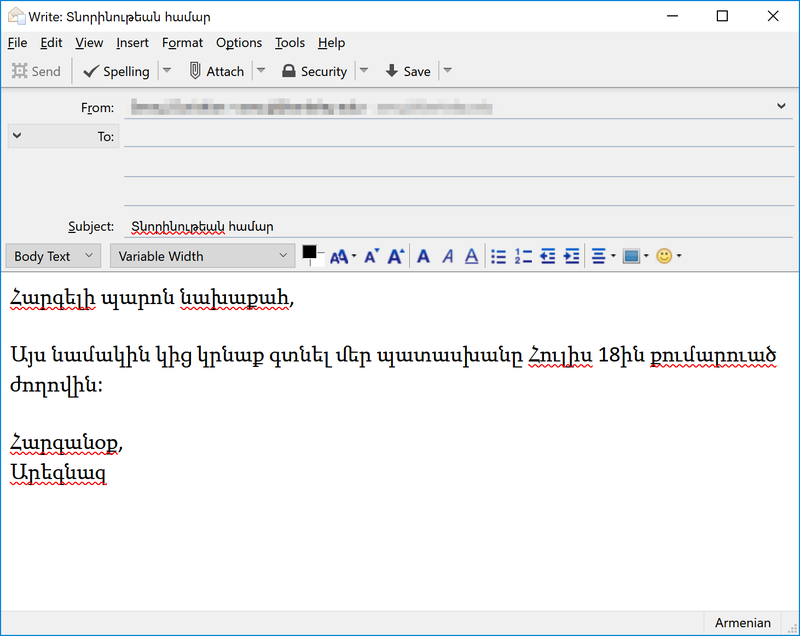 This guide will show you how to use HySpell Armenian Spellchecker for Thunderbird. These instructions have been tested on Windows 10 with Thunderbird version 52.5.2, the latest version as of this writing. The instructions are the same for other versions of Windows, as well as for macOS and Linux. This guide assumes that you have already installed HySpell for Thunderbird. 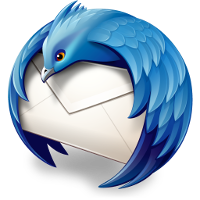 For instructions on how to do so, see the HySpell for Thunderbird Install Guide. 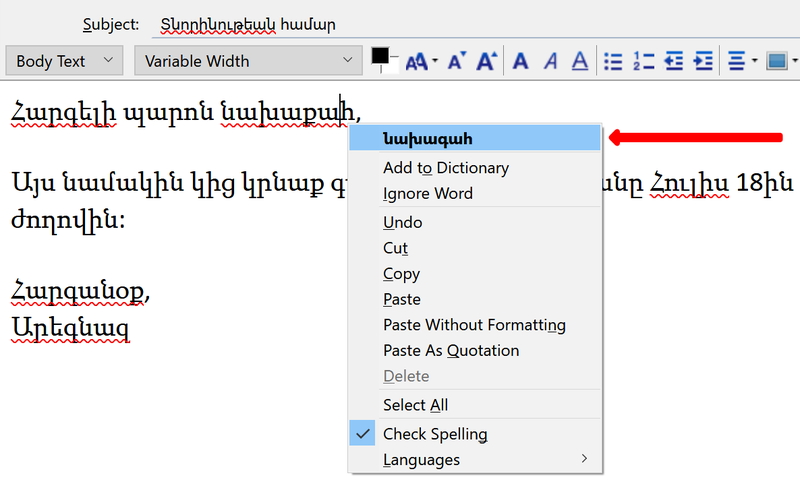 This guide also assumes that you know how to write in Armenian on your computer. 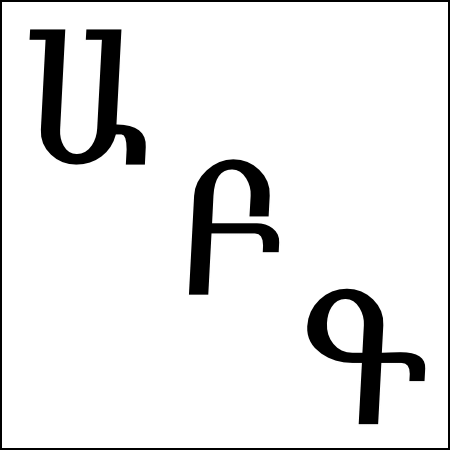 To learn how to do so, see Writing in Armenian. Start composing a new message by clicking the Write button. 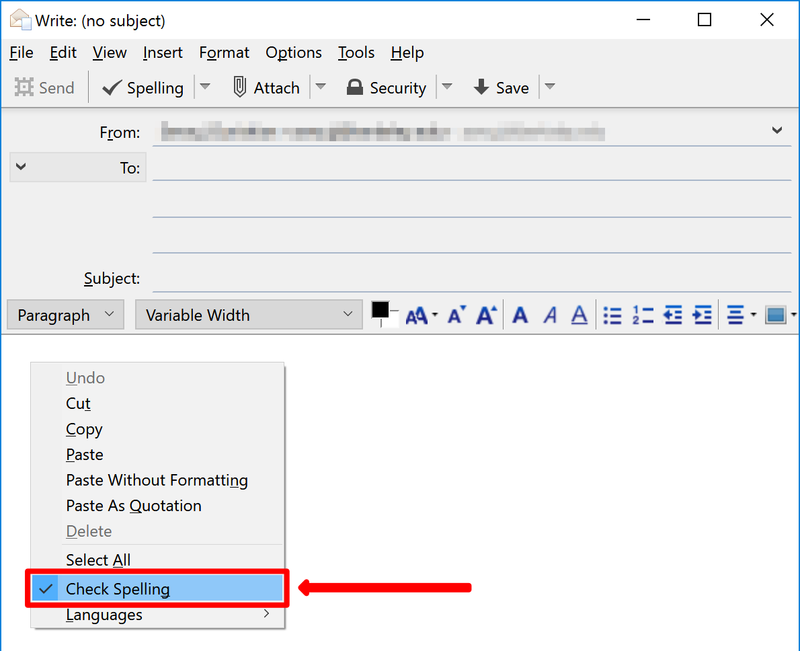 To do so, right-click in the message's text area and make sure that the Check Spelling option is enabled (checked). Set the text language to Armenian. 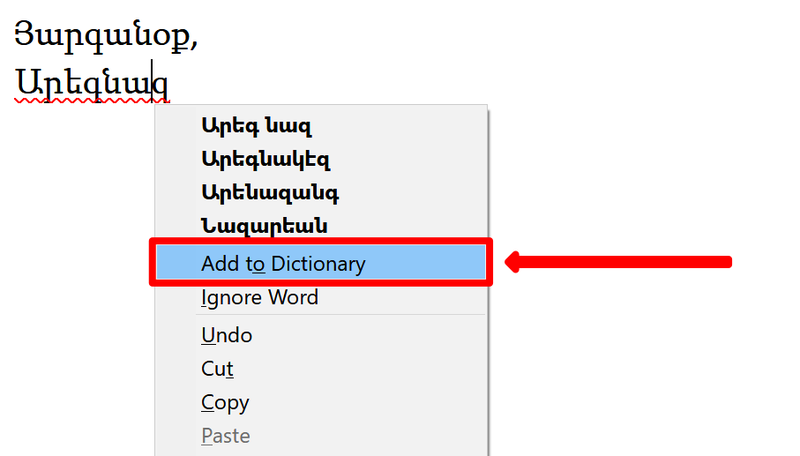 To do so, right-click in the text area again, and under the Languages option make sure that Armenian is selected. Compose your text in Armenian. © 2019 Nayiri. Armenian dictionary contains 0 words. The site has 120 dictionaries and 1 book.